Lunch is easy, healthy, and delicious with this Low Carb Buffalo Chicken Lettuce Cups Recipe! Yes, friends, this is another Buffalo Chicken recipe! I do think this will be the last one for while. I’m kind of afraid I’m going to get over it and that is just too sad to even think about! This cups recipe is just another variation of the Buffalo Chicken Salad recipe that I shared earlier this month. These little cups are great as appetizers or even a quick lunch. They are super easy to make and just so, so delicious! Bibb lettuce works best, but if you can’t find it (as I often can’t), you can use leafy green lettuce or even romaine lettuce. Using leftover chicken, or making the chicken ahead of time so that it can cool down, makes this recipe even easier. I will usually either bake mine the night before or cook it in my Instant Pot. Just be sure to let it cool some before you start shredding it to use. 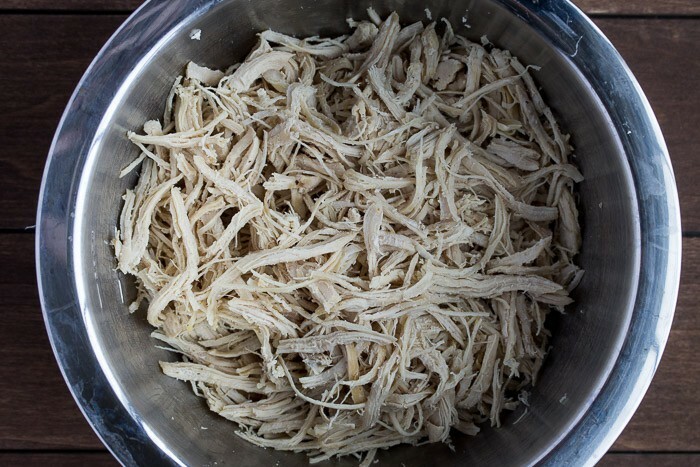 If you are not using leftover chicken, you will need to cook it, then let cool some before shredding. I usually let mine cool all the way before using it in a salad like this. Break apart your lettuce into cups or boats the best you can. 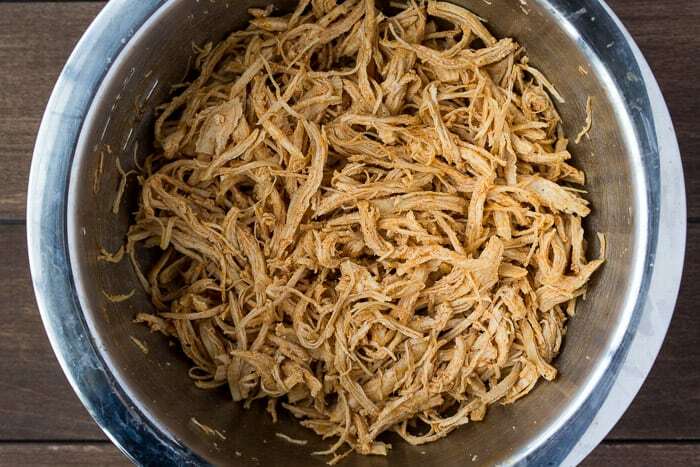 In a medium bowl, mix together the shredded chicken and Buffalo sauce. Divide the chicken mixture evenly into the prepared lettuce cups. Next, divide the blue cheese crumbles and Ranch dressing evenly over the cups. Top with the diced cucumber. If you are serving these as an appetizer, you can set them onto a large tray for guests to help themselves. PREP: If you are not using leftover chicken, you will need to cook it, then let cool some before shredding. I usually let mine cool all the way before using in a salad like this. Dice the cucumber. Next, divide the blue cheese crumbles and Ranch dressing evenly over the cups. Top with the diced cucumber and enjoy! I love that this is gluten free! Looks so easy and yummy! This is a great gluten free option! My family will love this! I will never get tired of recipes with buffalo sauce, and lettuce cups are always a great healthy way to serve up appetizers. These sound delicious! I love that you uses lettuce cups for these! Makes it feel so much lighter and a good spin on the recipe. Such an easy recipe. Low carb but filling. And nicely spiced. Buffalo chicken is pretty much my favorite kind of meat ever. SO GOOD! I have never thought to enjoy it in lettuce cups before, but this is a great idea to cut calories and carbs! This sounds so amazing! I just started a new diet this past week and this exactly the kind of food I need!